The CPMR has shown its support for climate action by joining an unprecedented European partnership, the Coalition for Higher Ambition. This unique alliance of European associations, businesses, local and regional authorities, trade unions and civil society organisations, calls upon the European Union to ramp up climate action. 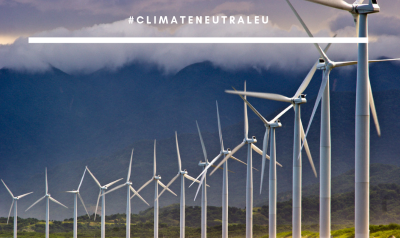 Through this ambitious coalition, the CPMR and other non-state actors urge EU leaders to step up climate efforts for a better future for European citizens. 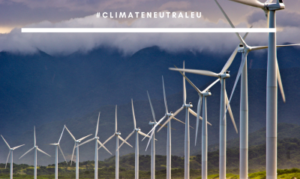 In an Open letter addressed to EU Heads of State and Government, President Juncker and the Commissioner for Energy & Climate, Arias Cañete, the Coalition for Higher Ambition calls for an increased action against climate change. This letter brings together a total of 42 signatories around the same aim and has been published ahead of the next European Council on 21 and 22 March, where the EU’s Heads of State and Governments are expected to discuss EU’s commitments under the Paris Agreement. The stakeholders involved call on the EU to respond to recent citizen mobilisation, to hear the calls from the Climate Strike and speed up the transition to a climate neutral Europe. Thus, build a safer future for European citizens by transitioning to a sustainable society and economy. The CPMR and the Coalition for Higher Ambition partners hope this letter will lead to improvements and that these points will be addressed during the European Council’s discussions.